Spider-Man: Homecoming is inching closer and closer to release and, now, we have our first listen to the beautiful score which will be accompanying the film. Composer Michael Giacchino shared the first track from his original score on a Vevo account. You can listen to it by pressing play on the video above and hear each and every triumphant note which will help Tom Holland swing into super hero mode when the film releases next month. Based on the varying tone of the track above, it feels like a safe assumption that this will be the track playing during Spider-Man: Homecoming's end credits while the trained Marvel Cinematic Universe fans patiently wait for a post-credits scene. 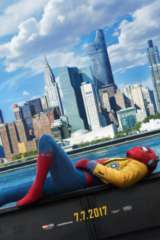 Giacchino previously unveiled a Twitter video which featured his recording of Spider-Man: Homecoming's take on the classic Spider-Man theme song. Thrilled by his experience with the Avengers in Captain America: Civil War, young Peter Parker (Tom Holland) returns home to live with his Aunt May. Under the watchful eye of mentor Tony Stark, Parker starts to embrace his newfound identity as Spider-Man. He also tries to return to his normal daily routine -- distracted by thoughts of proving himself to be more than just a friendly neighborhood superhero. Peter must soon put his powers to the test when the evil Vulture emerges to threaten everything that he holds dear.